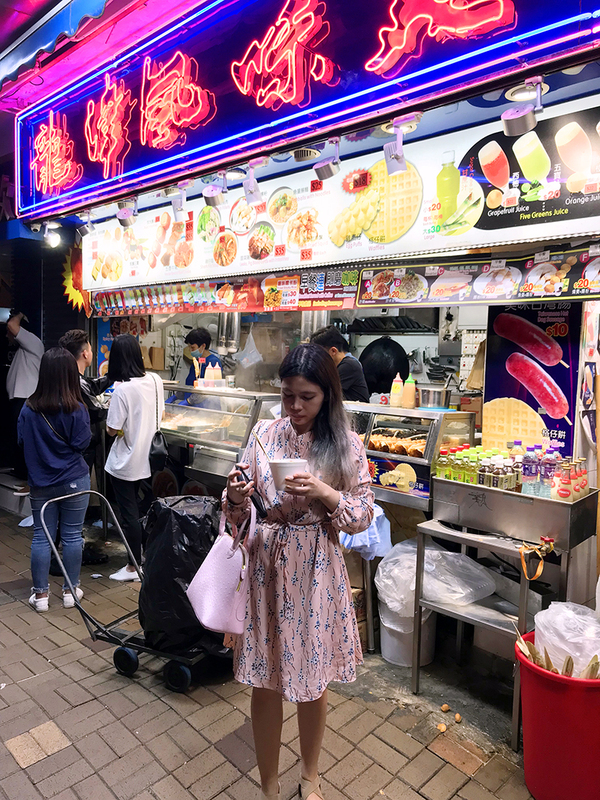 On our first night, we filled in our empty tummies with Hong Kong style noodles. 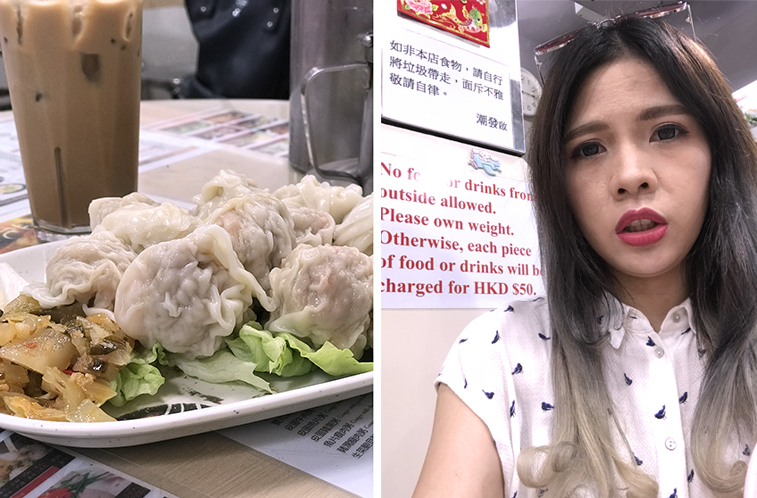 Their noodles are usually topped with siu mai or fish balls. It was the only stall opened at midnight so we had no choice. Also, they have several branches in every corner and almost everyone were lining up for it. 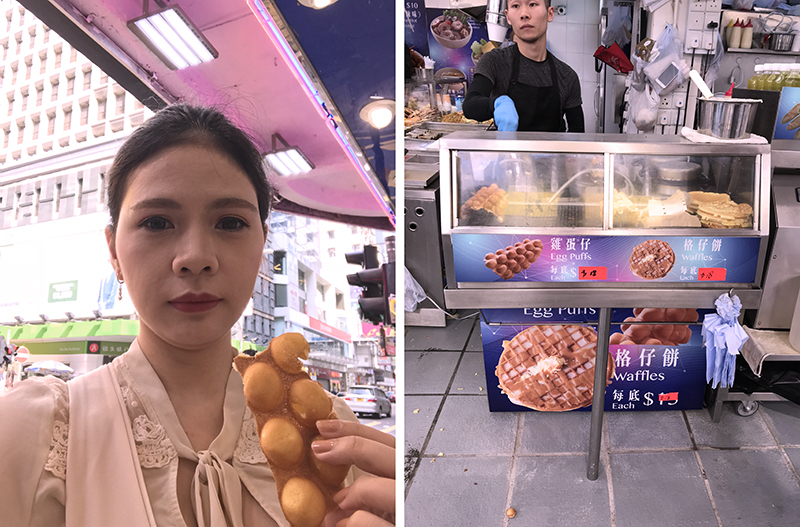 Then in the morning, we tried the legendary Egg Waffles (Gaai Daan Tzai)! Nothing special, really but it’s always good to try something new. 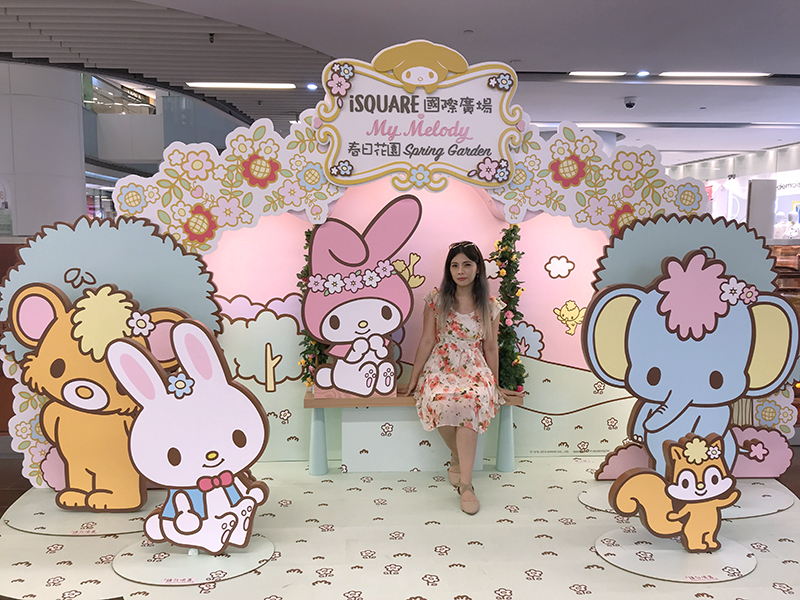 That time, there was a huge pop-up at iSquare dedicated to My Melody. Yay! My heart was so happy. Okay, this is something a local wouldn’t do but give me a chance! 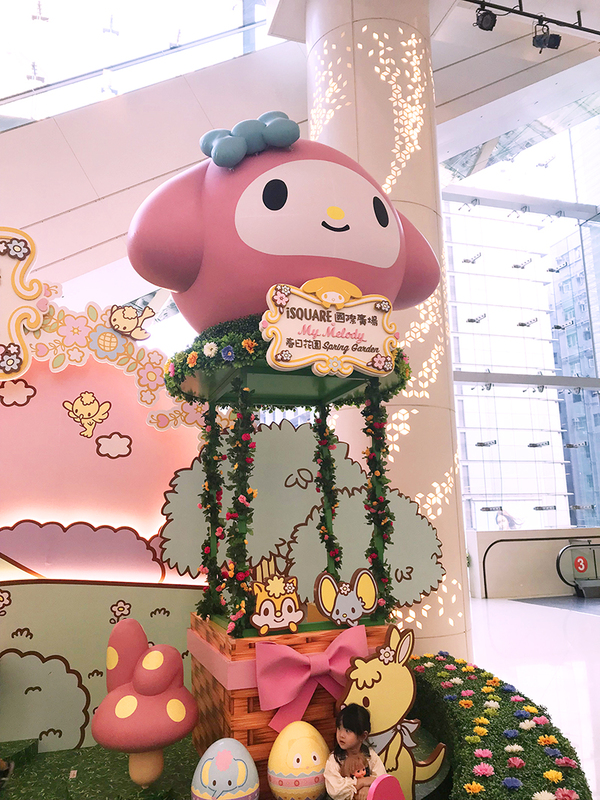 We looked for all My Melody installation on each floor of the mall to get a photo op too. The installation on the fourth floor was really huge!!! It was a play paradise for the kids and kids at heart. 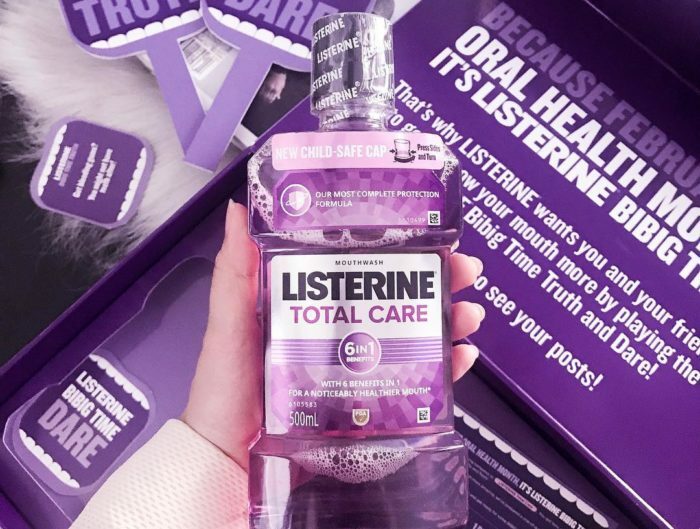 So instagrammable! I was sooo ready for my picture until someone approached my boyfriend and ask him to take her photo. Of course, we agreed and I patiently waited for my turn. It’ll just take a minute anyway but boy was I wrong. Ten minutes already passed and they were not finished yet! 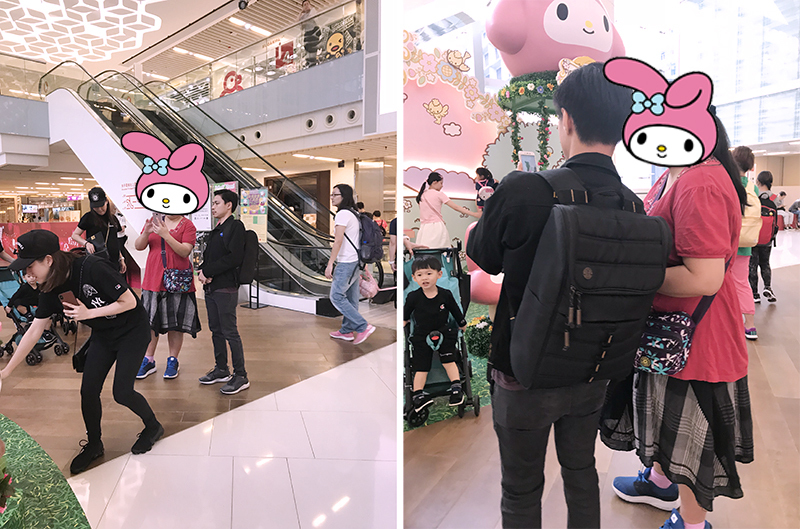 This lady was shooing the kids away and demanded for the perfect shot from my boyfriend. So after 9999 attempts, she was finally pleased with the angle and I quickly pulled out my boyfriend from the scene! Forget about my photo! Hahaha! 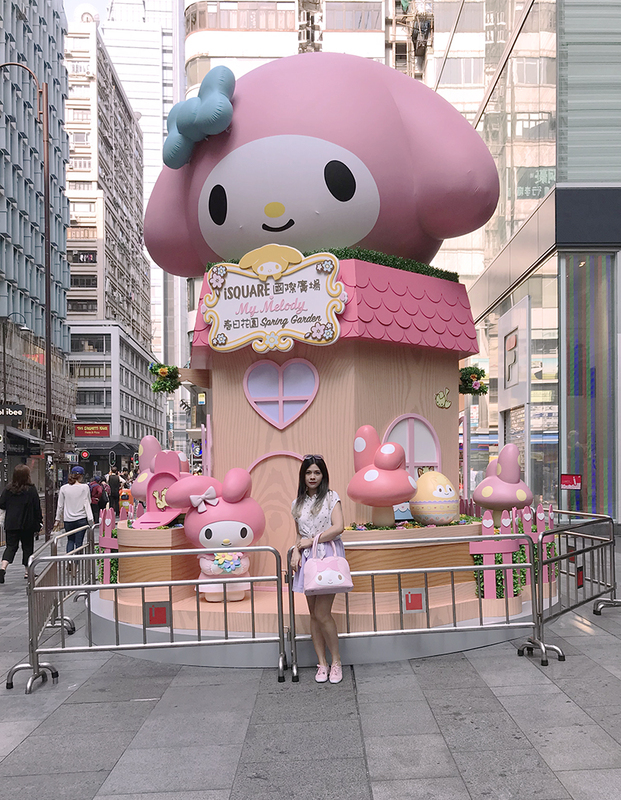 Okay, enough of My Melody and talk more about dim sum! 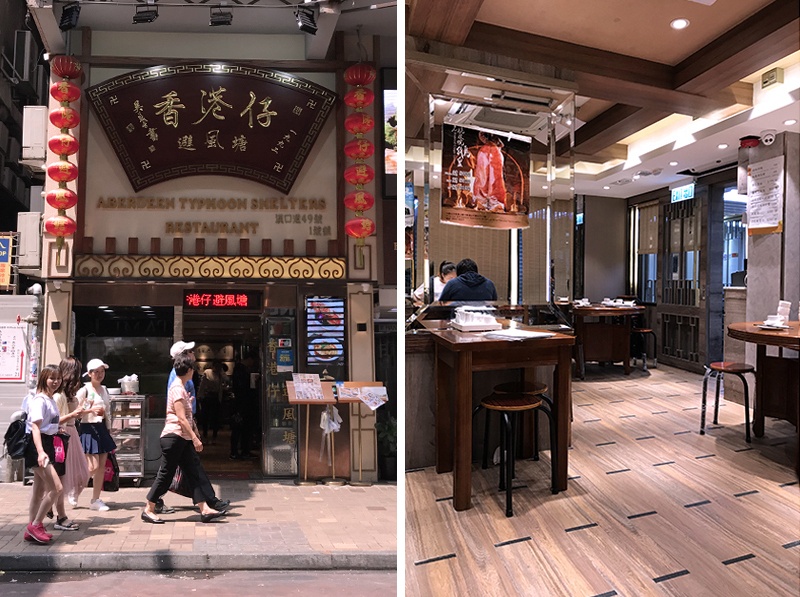 So we went to this Aberdeen Typhoon Shelters Restaurant afterwards. I find their name a little strange and there are a lot of customers inside so we got curious and tried their food. Hakaw is everything. Oooh.. These photos make me miss these little surprises in smoking bamboo baskets. Paired it with milk tea, of course. And you know what’s cool? 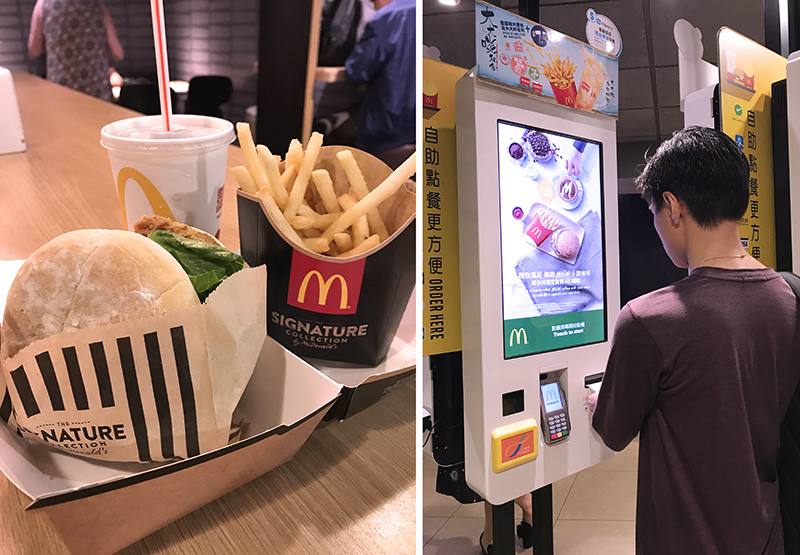 Ordering at Mcdo using the touch screen menu! We were so slow, I feel like the people were already staring at us. Sorry, it was our first time! And apparently, taking your food out of the tray while you eat is a no-no. We just realized that when we’re done and the staff was really mad. Yikes! It was a short trip around TST but we had fun and I’d love to explore the streets again on our next visit. 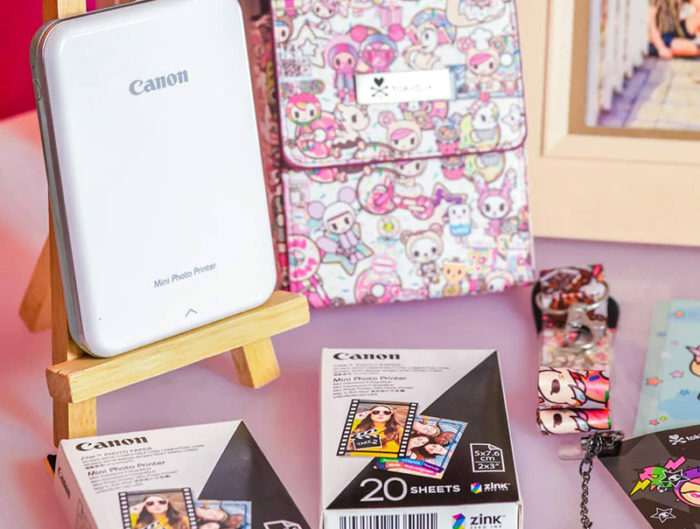 I wasn’t really into fashion and makeup hauls that time so we skipped Sassa and all the goodies. Walking around without a phone nor any guide on my hand feels wonderful. If you’re going to spontaneously explore a city without the help of Google, what would you do? 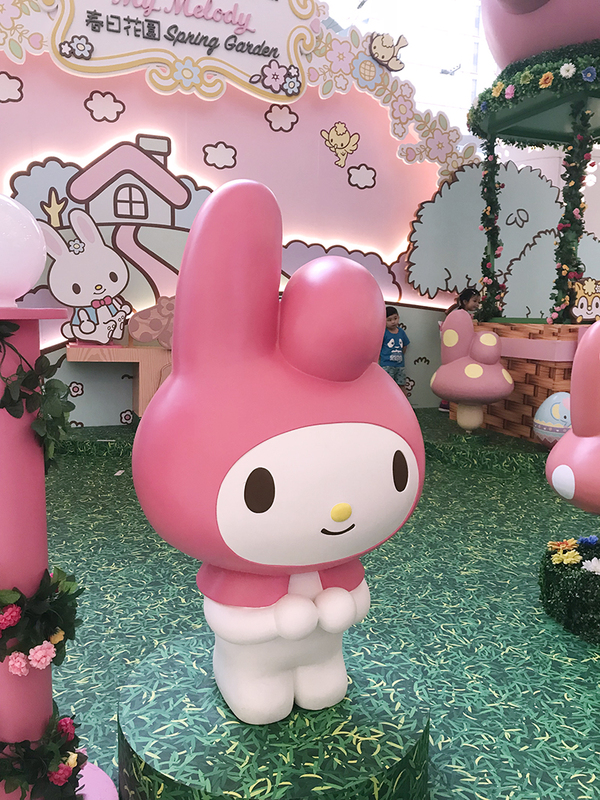 My Melody!!!!!!!!! OMG ang cuteeeee. 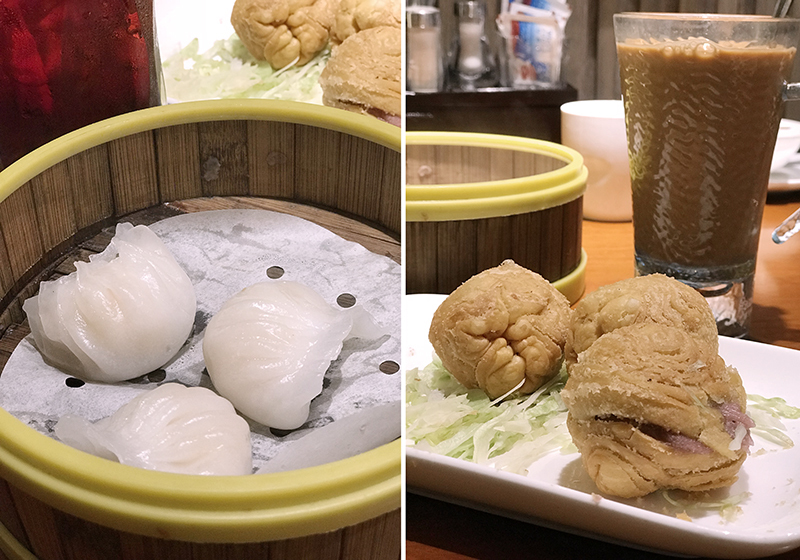 Oh I miss their legit dimsum choices! 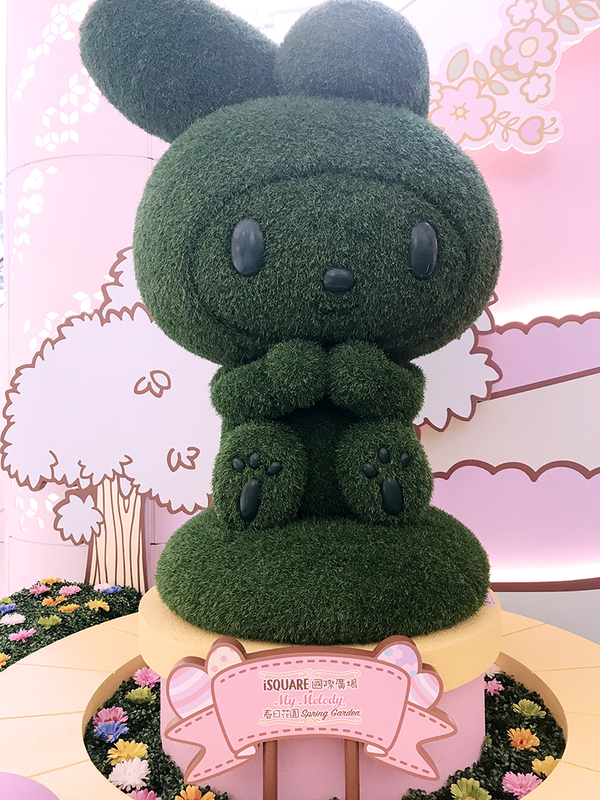 Sayang, My Melody installation was only there for a short period of time.